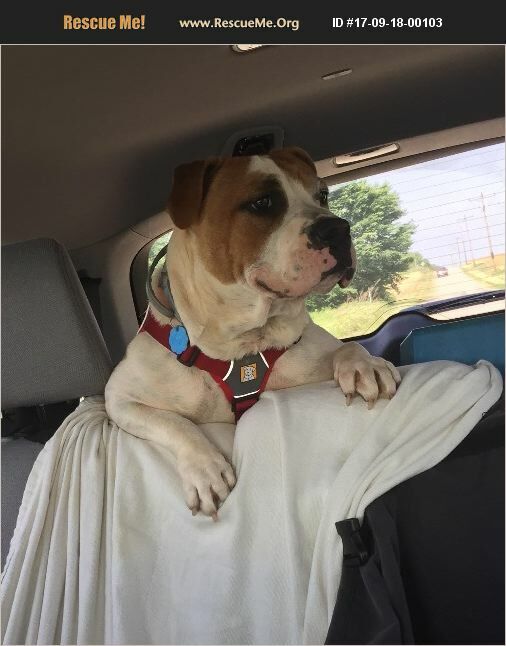 Oklahoma American Bulldog Rescue View other American Bulldogs for adoption. This beautiful sweet goofy bundle of love has decided after living with us for 6 months that she doesn't like our Staffie mix female. She is crate trained, has not had an accident in the house in moths and waits at the back door 'asking' to go out. Sally knows how to sit and fetch. I just started teaching her how to catch a frisbee. She is good on a leash although she still pulls sometimes. She does better in a harness than just a collar and leash. She is a big snuggle bug and loves to be in your lap or at least snuggled at your side. She is about 16' tall and approx. 60 lbs so she is stout! We have two other dogs much smaller than Sally that we have had for 6 and 8 years so as they age they deserve to be comfortable without feeling intimidated by Sally's constant rough play.